Get the Pest Control Operator Bond You Need to Grow Your Business Today. We trust that you have read the Pesticide Applicator License and Charter Information plus completed the Tennessee Department of Agriculture Application Pest Control Applicator License and Charter. This is a step that you are required to make BEFORE you purchase your Pest Control Bond. If you do not have this information, we furnish what you need here at BondYourself.com. Please click HERE for all of the information that you need mentioned above. 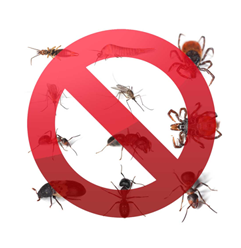 If you qualify for a Pest Control Bond, we are ready to assist you in EASILY and QUICKLY purchasing your bond on BondYourself.com. If you live in Tennessee, Alabama or Mississippi, here is what you need to know in order to get your bond! You are required to post a surety bond to the State of Tennessee. The bond amount is $10,000. The premium is $50.00 for one year; $87.50 for two years or $120.00 for three years. The bond amount for you is $2,500. Your premium amount is $100.00 for one year or $250.00 for three years. The bond amount is $5,000. Your premium is the same as above – $100.00 for one year or $250.00 for a three year bond. If you would like your bond to expire with your charter, just give us a call at 1-800-253-1165 or E-mail us at bonds@BondYourself.com. We’ll calculate the amount for you! Don't forget, we offer ALL KINDS of Notary Supplies at BondYourself.com! Click Here And Save!